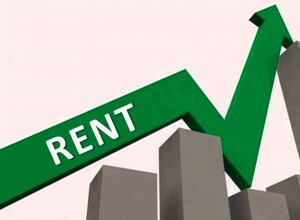 In good news for property investors, rents are slowly on the way up in Queensland. Rental rates in Brisbane increased by 1.1% over the first quarter of 2018 compared to a 1.2% increase in rents across regional Queensland. Brisbane rents were just 0.6% higher over the past 12 months compared to a larger 2.8% increase across regional Queensland. Gross rental yields in Brisbane have moved marginally lower over the past year from 4.42% to 4.40%. To help you understand what’s happening with rents throughout the Sunshine State, first let’s look at the national overview from CoreLogic and then their rental figures for the various regions of Queensland. With a median rental rate of $499 per week, prices were higher in the Gold Coast than they were anywhere else in Queensland — including inner Brisbane ($498). 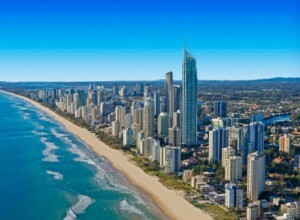 The Sunshine Coast was the third most expensive place to rent across the state, with a median rental of $489 per week. Rental prices climbed over the first quarter in all regions except for the Queensland Outback (-5.6 per cent) and Darling Downs-Maranoa (-1.4 per cent). The highest yield was to be found in the Queensland Outback, with a 9.4 per cent return. Outside of Brisbane, rental yields have increased from 5.24% a year ago to 5.27% currently. 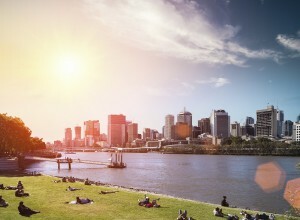 Each SA4 region of Brisbane recorded a quarterly increase in rental rates, while over the past year, rents fell across two of the nine Brisbane SA4 regions. Rental rates have increased at a similar pace to value which has resulted in seven of the nine Brisbane SA4 regions recording no change in rental yield over the past year while they reduced across the remaining two regions. The housing market performance is much more mixed in regional Queensland however, values have only fallen over the quarter in two regions and in one region over the past year. At the same time, the MackayIsaac-Whitsunday region has recorded a double-digit rental increase. Of the 10 regional markets, six have higher yields than a year ago, two have unchanged yields and two have lower yields.